I had pretty much screwed up so badly by the eighth mission that I knew I wasn't going to beat the game, I had underestimated or not even realized the importance of satellites or interceptors and although I was getting better at strategy on the ground I lost all my veterans on one terrible mission where I was half paying attention and half watching the kids.... everyone died *sob*. I think I stopped playing because I wanted to take it seriously and I noticed that every time I played I was just "checking in" playing a mission and then I had to turn it off again and go back to real life. That's actually the reason I got it on the PC, I wanted to take it seriously, sit down and actually play it - if I had it on my iPad (I thought) I would be jumping in and out of the action like I do on many mobile games. So after not playing again for a good long time I jumped in again 'just to get a feel for it again' and probably I would get hooked again. Turns out I was right - except I also played another mission and got so badly whooped that I have decided to start all over.... This time without Ironman, because I am a wuss and I guess I want to start feeling like I am winning this thing for once. 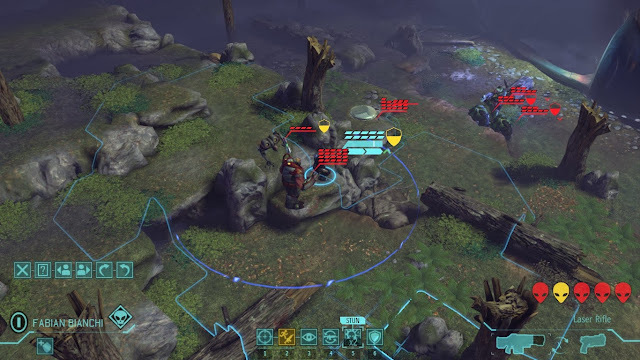 Lesson Learned : X-Com is another game you can't just jump in and out of and think that it's not going to have consequences.